The smallest of the Versa-Lifts, the 17/25 can get into congested areas that other machines can't reach. 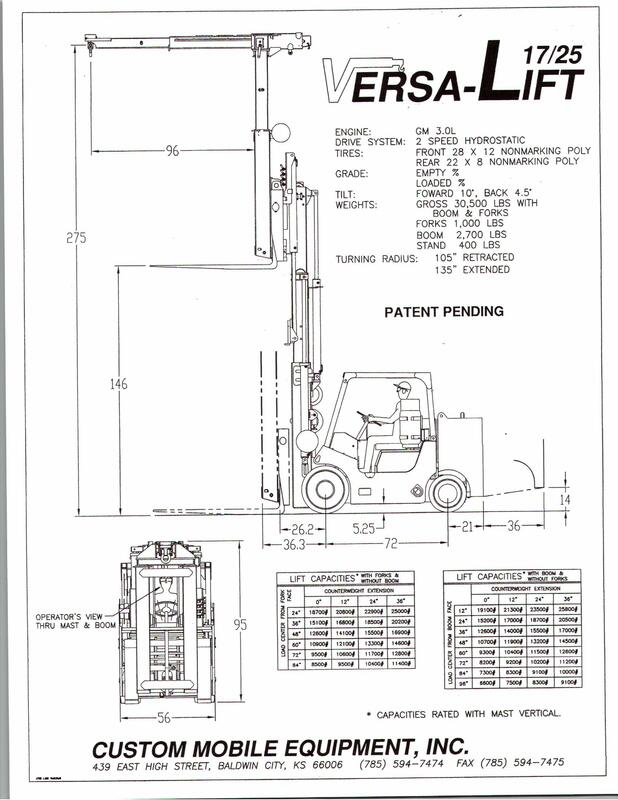 Ideal for lifting loads in tight quarters, the Versa-Lift 17/25 can handle 25,000 lbs at a 24" load center. Triple stage direct lift gives 146" of lift while the boom operates up to 22' 10". A double column boom and mast combined with a center positioned driver seat gives the operator superior visibility. Copyright 2019 Doral Equipment Rental. All rights reserved.